Deben hacerlo con el usuario y la clave que recibieron por mail. *Formato: Word hoja A4; fuente Times New Roman; tamaño 12pts; interlineado 1,5pts; justificado sin sangrías; todos los márgenes a 3 cm; título en tamaño 14pts, centrado, en negrita; subtítulos en tamaño 12pts, cursiva, alineado a la izquierda. 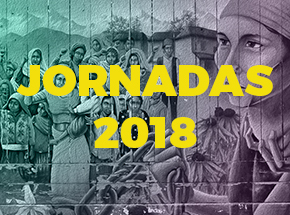 *Todos los archivos deberán contener en la portada: Nombre y apellido del/los/las autores/as, inscripción institucional, título de la ponencia y eje temático elegido. El nombre del archivo Word a adjuntar no debe contener puntos, comas, la letra ñ u otros caracteres especiales. Todas las ponencias que cumplan con los requisitos formales de edición pautados serán publicadas en formato electrónico como memoria de las jornadas y tendrán un número asignado de ISBN para su validación académica. Quienes no deseen su publicación podrán optar por esta opción al momento de subirlas al sitio web. La certificación de la inscripción, aceptación de resumen y recibo de ponencia es de modo automático a través del sistema de inscripción on line. Hey! I know this is kinda off topic however , I’d figured I’d ask. Would you be interested in exchanging links or maybe guest writing a blog post or vice-versa? My blog discusses a lot of the same topics as yours and I think we could greatly benefit from each other. If you’re interested feel free to shoot me an e-mail. I look forward to hearing from you! Excellent blog by the way! Hey there, You have performed a great job. I’ll definitely digg it and personally suggest to my friends. I am confident they will be benefited from this website. Everyone loves what you guys are usually up too. This kind of clever work and exposure! Keep up the fantastic works guys I’ve you guys to my personal blogroll. Howdy would you mind letting me know which hosting company you’re using? I’ve loaded your blog in 3 completely different web browsers and I must say this blog loads a lot faster then most. Can you suggest a good internet hosting provider at a reasonable price? Thank you, I appreciate it! You really make it appear really easy along with your presentation but I find this topic to be actually one thing which I think I’d by no means understand. It seems too complicated and extremely wide for me. I am having a look forward to your next post, I will attempt to get the cling of it! Do you have a spam issue on this blog; I also am a blogger, and I was wondering your situation; we have created some nice practices and we are looking to exchange solutions with others, why not shoot me an email if interested. Please let me know if you’re looking for a article author for your weblog. You have some really good posts and I believe I would be a good asset. If you ever want to take some of the load off, I’d absolutely love to write some content for your blog in exchange for a link back to mine. Please blast me an email if interested. Thank you! Hello there! I know this is kinda off topic but I’d figured I’d ask. Would you be interested in exchanging links or maybe guest authoring a blog post or vice-versa? My blog covers a lot of the same topics as yours and I think we could greatly benefit from each other. If you’re interested feel free to send me an email. I look forward to hearing from you! Wonderful blog by the way!